iPhone X Incoming Call Display Delays? Try These Tips! iPhone X, on one hand has taken over almost all the other Smartphones, however, on the other hand, there are many problems people come across with. 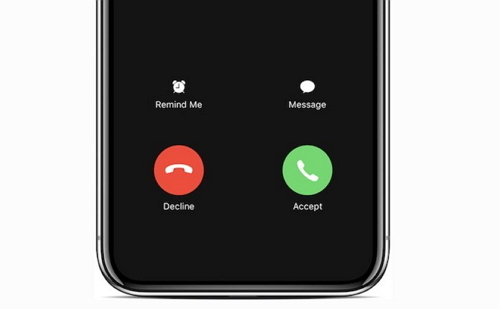 A fresh problem that has been reported by the users is that their iPhone X incoming call display delays, which means their device doesn't let them catch the sight of the caller ID or the 'Accept' and 'Decline' buttons on the screen while the phone is ringing until around 10 seconds later. Apple is still dealing with the problem and no exact solution was offered. Before Apple comes up with a solution, we don't want you to stay in the problem like this and for this reason, we are here with some easy tips that you can follow when iPhone X incoming call notification on screen delays and you are unable to accept the phone calls. When there is a display lag of incoming call on iPhone X, the first resort is force restart your device. 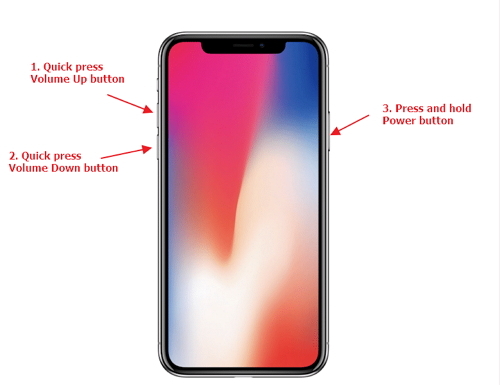 Please note that the steps for iPhone X are not like what you used to follow for previous models. Follow the steps below to force restart your iPhone X and this will probably finish the incoming call display delay problem. Start with pressing the 'Volume Up' button briefly. Do the same with 'Volume Down' button. Now, keep pressing the side button i.e. 'Sleep/Wake' button until the Apple logo comes to your sight. You can also try resetting your devices settings when you are unable to accept calls on iPhone X, since that problem might be caused by the changes in settings. This will turn all your settings into default. 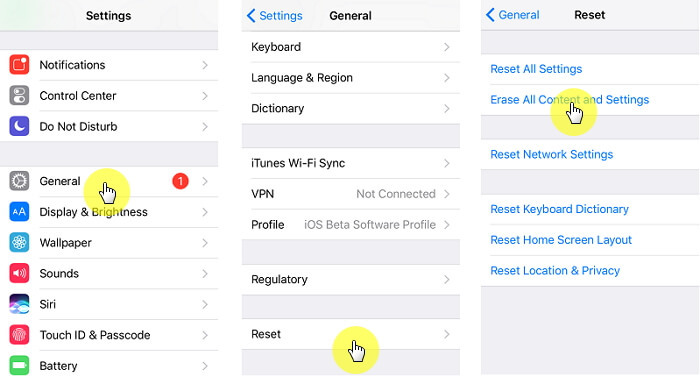 Here are the steps to reset all settings in your device. In your iPhone X, just open 'Settings'. Look for 'General' option and tap on it. Go to 'Reset' followed by 'Reset All Settings'. 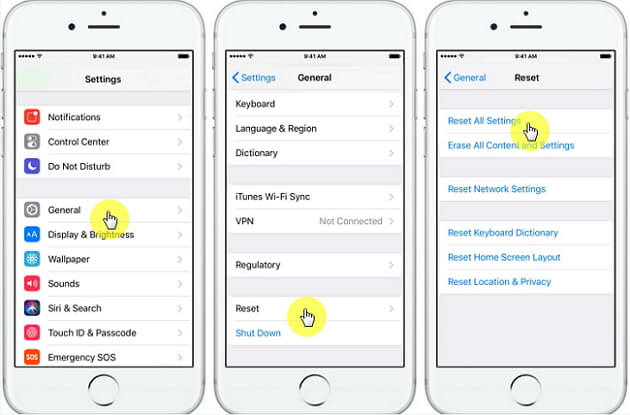 Now, enter your passcode to confirm the action and tap on 'Reset All Settings' again. Here is another suggestion that might help you getting rid of the situation when your iPhone X incoming call display delays. By performing factory reset in your device, you may get free from the problem. However, since this method will wipe away all your data so it becomes important to make backup your device data prior to executing factory reset. Of course, you can backup your iPhone X using iTunes or iCloud. You can also use a third-party tool iMyFone D-Port to flexibly back up your iPhone X. It is a free backup tool. You can choose to make a full backup using the tool. The difference between iMyFone D-Port and iTunes is that iMyFone D-Port will not overwrite the previous backups. You can also backup partially, for example separately backup Contacts, messages, WhatsApp, or WeChat. This tool also has other powerful features and is competible with the newest iOS 12. You can check more about it here. Assuming that you have made backup of your data, it's time to learn the guide on how you can factory reset your iPhone X. Go to 'Settings' in your device and tap on 'General'. Now, hit on 'Reset' followed by 'Erase All Content and Settings'. Type in the passcode and confirm the decision. Restoring the device is another possible solution in the case when you are unable to accept calls on iPhone X for the display lag. By putting your device into the recovery mode and then restoring it, the problem may vanish. Here are the steps to do that. Firstly, make sure to connect your iPhone X with the PC and open iTunes. Now, press the 'Volume Up' button and release it immediately. Perform this with 'Volume Down' button as well. Lastly, press the 'Sleep/Wake' button until you get the recovery mode screen. iTunes will recognize your device that is in recovery mode and will give a pop-up having two option i.e. 'Restore' and 'Update. Click on the former option and this will restore your device positively. If you find iTunes doesn't work for restoring, you can try this tool which is an iTunes alternative when it comes to restore iPhone/iPad. If your iPhone X incoming call display still delays after all the above attempts, the last option you are left with walking to the Apple Store near to your place. We would suggest you to replace your iPhone X with the new one if it is under warranty. This is because Apple is itself looking into the matter and has come up with no exact reason and solution yet. Thus, replacing will be a better option if you are stuck with such incoming call issue.